It’s assumed that investment infrastructure can only be a good thing – but what about the drawbacks? It can put governments in debt to finance the project, and take business away from the existing transport network. So are high speed trains really worth it? Hailed by the UK government, it said bullet trains could boost the UK economy by £15bn a year. But research by KPMG suggested the UK’s High Speed 2 bullet train project would make more than 50 places across the UK worse off – such as Aberdeen, Bristol and Cardiff. In Chengdu, China, the fast transport infrastructure growth has come with social costs. Farmers lost land, displaced residents protested and local governments have ignored land-use laws. However high speed rail travel has its perks. Though the cost estimate for California’s bullet train project has more than doubled to nearly $100 billion, high-speed rail officials said Tuesday a new business plan will create an economically successful system, generate more than a million jobs and provide a transportation alternative for the state’s growing population. India, China and Japan are bidding to build their first bullet trains to kickstart India’s transportation infrastructure, which would bring massive revenues for all the countries involved in terms of finance and job creation. And the bullet trains in China break world records in length and speed, and have revolutionized the previously coach driven travel opportunities. Ultimately bullet trains benefit the country, but these unanticipated costs should be a concern for any country considering them. 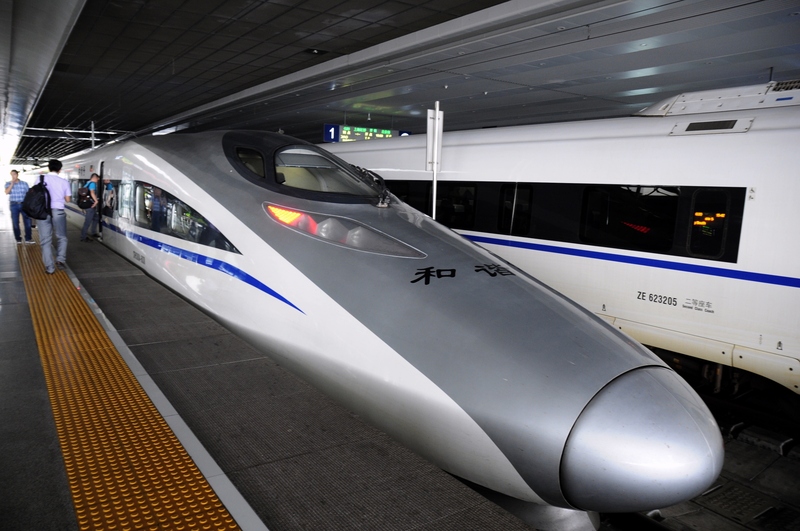 Shanghai Metal Corporation manufactures the copper used in the manufacturing of high speed trains. As an ISO 14001 (International Quality Management System) Company and recipient of the “Star Enterprise Award,” Shanghai Metal Corporation prides itself on exceeding international standards of quality and reliability. We guarantee the best prices, quality support, and fast delivery. To find out more, please visit our Website, WordPress, LinkedIn , Twitter , Facebook and Instagram. Or you could try our new mobile app by scanning our QR code. Moreover, we sell directly from Alibaba , EC21 and Tradekey.